Sometimes you just have to admit life is too short for not treating yourself with this chocolate tart recipe as even a little bit will satisfy any chocolate craving. 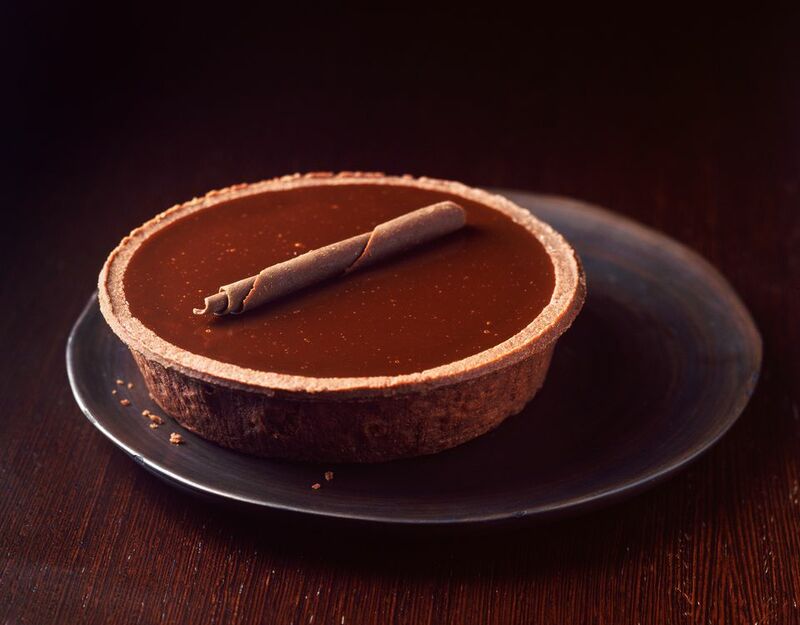 A flaky, buttery tart shell filled with a creamy, rich chocolate ganache makes a sophisticated dessert alongside a mellow café au lait. For a deliciously cool contrast, serve it with a dollop of lemon pastry cream as a garnish. In a small bowl, mix together the flour, sugar, and salt. Using a pastry cutter, large-tined fork, or a food processor on pulse setting, cut the chilled butter into the flour until it resembles coarse sand with a few pea-sized pieces of butter still visible. Sprinkle the cold water onto the mixture and toss gently a few times, just until it forms a ball that holds together. Preheat an oven to 375F. Roll and trim the dough to make a circle large enough to fit a 10-inch fluted tart pan. Fit the circle into the bottom and up the sides of the pan. Line the dough with pie weights or dried beans and bake it for 15 minutes. Remove the pie weights and bake the shell for an additional 5 minutes. Set aside the pastry shell, still in the tart pan, to cool. This chocolate tart recipe makes 8 to 10 servings.